The Buddhist philosophy attracts special attention of the scholars for its unique ideas and opinions. One is always fascinated to see, how great thinkers have developed the ethical teachings of Lord Buddha in the form of many logical doctrine. Ratnakirti, the disciple of Jnanasrimitra, has written many philosophical essays to save and establish the Buddhist position. The work ‘Ksanabhangasiddhi’ of Ratnakirti is one of the most important work on Buddhist Theory and it was edited fro the first time by Prof. Haraprasad Shastri in ‘Six Buddhist Nyaya Tracts’. In this, Ratnakirti has tried to establish the theory of momentariness by the method of agreement (anvaya) and difference (vyatireka). He has established the syllogism, ‘whatever is existent, is momentary like a pot’ as advanced by his predecessors to prove the theory of momentariness and concludes that it is not at all functions. Dr. Vibha Aggarwal was born on 4th December, 1962 in Rampur District, U.P., India and brought up at Kurukshetra University. After her schooling from Senior Model School, Kurukshetra, she joined University College in 1976 for B.A with Honors in Sanskrit, securing position in university merit list of top ten students. She pursued post graduation in Sanskrit from the department of Sanskrit, Kurukshetra University, Kurukshetra achieving gold medal being first class first. Her area of specialization was Indian Philosophy. She continued her higher studies by doing M.phil. in 1983 and was awarded PhD. degree in May 1992 in the same specialization. She has been a lecturer in Sanskrit in Dayanand Mahila Mahavidyalaya, Kurukshetra from 31.7.1985 to 13.6.2004. She worked as Principal in the same institution, from 14.6.2004 to 12.2.2009. But her passion for academics and research made her leave the job of Principal and join as Assistant Professor in the Dept. of Sanskrit, Pali &amp;amp;amp;amp; Prakrit, Kurukshetra University, Kurukshetra in 2009. In a short span of two years in the Dept, she has communicated eight research papers for publication, has guided six students for M.Phil. dissertation and has taken up the task of publishing her research work. It gives me immense pleasure to introduce to the academic world the present work entitled “The Buddhist Theory of Momentariness” (A case study of Ksanabhanga-siddhi of Ratnakriti), written by Dr.(Mrs.) Vibha Aggarwal of the department of Sanskrit, Pali &amp;amp;amp;amp; Prakrit, Kurukshetra University, Kurukshetra. This piece of research is a very important contribution to the understanding of Buddhist Philosophy, especially to the theory of Momentariness. In the history of Indian Philosophical thought, study of Buddhist Philosophy occupies a very unique place due to its rational and perceptive outlook. 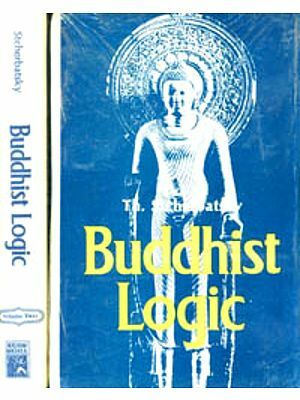 Unfortunately a large number of the original texts (written in Sanskrit and Pali) of the Buddhist philosophy and logic are lost. In course of time, they have been either destroyed by the intruders or taken away by the bhiksus/travelers to the foreign countries like China, Tibet etc. However, with sincere efforts of some enthusiastic scholars like Mahapandita Rahula Sankrtyayana, it has been made possible to bring back to India a large number of palm-leaf manuscripts of Sanskrit works from the monasteries ofTibet in the last century. Essays on different philosophical topics written by Jnanasrimitra and Ratnakirti were also a part of the discovery of manuscripts brought by pt. Rahula Sankrtyayana. These essays were later on edited and published by K.P. Jayaswal Institute, Patna with the title Jnanasrimitra-Nibandhavali and Ratnakiriti-Nibandhavali under ‘Tibetan Sanskrit Works Series”. It is highly appreciable of Dr.Vibha Aggarwal who has taken a bold step by undertaking research on the Buddhist theory of Momentariness on the basis of Ratnakiriti’s Ksanabhangasiddhi : one of the nine works collected in Ratnakiriti-Nibandhavali. It is really a difficult task to do a critical study of this essay of Ratnakiriti in the absence of its any Sanskrit commentary or any English/Hindi translation. So far as my knowledge extends, before the efforts of Dr.Vibha Aggarwal no one else had ndertaken this type of study of Ratnakiriti’s Ksanabhangasiddhi in its fullest form, although some scholars like Prof. Satkari Mookerjee, Prof.D.N.Shastri and Prof.S.N.Dasgupta have discussed it partially in their respective treatises. Dr. Vibha has divided her research work into five chapters; the first chapter is introductory and the second chapter deals with the origin and development of the theory of Momentariness (Ksanabhangasiddhi). The third and fourth chapters are much more important and interesting for a keen student of the Buddhist theory of Momentariness. Here a critical analysis of the arguments given by Ratnakiriti in his essay ‘Ksanabhangasiddhi’ has been presented. In the concluding part of the book (Chapter-V) the achievements of the whole research work have been enumerated in brief. The addition of Glossary and Index in the appendix will be greatly beneficial for the students and researches. I am confident that this serious study of the Buddhist theory of momentariness will be received enthusiastically by the scholar of Buddhist philosophy and will give encouragement to other researchers to take up such type of study. In the end I would like to congratulate Dr. (Mrs.) Vibha Aggarwal for the publication of this commendable research work. The Buddhist philosophy attracts special attention of the scholars for its unique ideas and opinions. One is always fascinated to see, how great thinkers have developed the ethical teachings of Lord Buddha in the form of many logical doctrines. From the period of Dinnaga, the Buddhists philosophy has been converted into a new critical school of logic known as ‘Buddha Nyaya, or Sautrantika-Yogacara school. Unfortunately, a large number of the original sources of the scholars of Dinnaga school have been lost or taken away to different countries. However, the scholars in the field of Buddhism are indebted to great Pandit Rahula Samkrtyayan, who brought many of these sources to India from Tibet. In Dinnaga School, epistemology (Pramana-Mimamsa) and logic (Nyaya) have been given more importance than the metaphysical aspect. Dinnaga wrote many treatises to establish the Buddhist epistemology and due to hid special intellect, he dominated over the field of doctrinal controversies between the Buddhist and Brahmanical philosophies. The conflict of the Buddhists was mainly with the Nyaya system. The Naiyayika was a realist, who believed in the reality of the phenomenal world, but the Buddhist logicians were pure idealists. Denying the reality of eternal world, they accepted only ‘mind’ (Vijnana) as ‘real’. The most interesting thing between the Buddhists and the realists is the chain of debate which is formed due to these conflicts. This debate continued till 11th century A.D. or so. Dinnaga was the first Buddhist logician who instigated the Nyaya scholars to defend their theories against his attack. 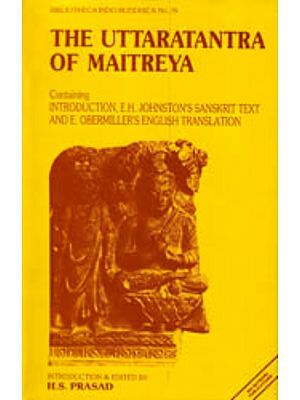 Uddyotakara, the Naiyayika, criticized him in his ‘Nyaya-vartika, who in return was criticized by Dharmakiriti (700 A.D) in his magnum opus ‘Pramanavartika’ and other works. 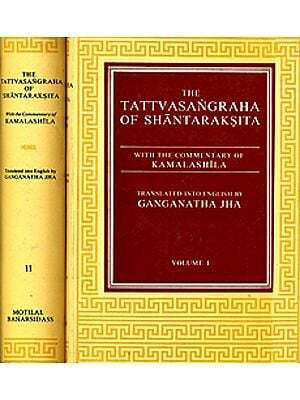 In the same line, Santraraksita (8th century) has written the monumental critique of all systems of Indian Philosophy of the age – the tattva Samgraha. But Vacaspati Misra(10th century) again saved the position of the Naiyayaikas refuting the Buddhist standpoints with his extraordinary intellect, in his ‘Nyaya-vartika-tatparya-tika. Still, the dispute was not over as Jnanasrimitra came forward in defence of the Buddhists theories with his many precious works (collected and edited by Prof. A.L. Thakur in Jnanasrimitra-nibandhavali) and Ra same line next comes the nature of Ratnakiriti (11th Century). Ratnakiriti, the disciple of Jnanasrimitra has written many philosophical essays to save and establish the Buddhists position. Although his works seem to be summaries of those of his ‘guru’ yet his method is so emphatic and elaborating that he attracts more attention of the scholars of the later period than his teachers Jnanasrimitra. Prof. A.L. Thakur says in the introduction to ‘Ratnakiriti-nibandhavali, “Ratnakiriti took upon himself the task of presenting the rather stiff and elaborate work of his luminous guru in a lucid or more or less popular form”. For this reason his works are more approachable. The work “Ksanabhangasiddhi’ has been edited for the first time by Prof. Haraprasad Shastri in ‘Six Buddhists Nyaya Tracts’. Later on Prof. A.L. Thakur has also edited the same work showing the variant readings of both the manuscripts (one, which is edited by Haraprasad Shastri and other by himself). This work is one edited Haraprasad Shastri and other by himself). This work is one among the nine works collected in ‘Ratnakiriti-nibandhavali. In this, Ratnakiriti has tried to establish the theory of momentariness by the method of agreement (anavaya) and difference (vyatireka). He has established the syllogism, ‘whatever is existent, is momentary like a pot’ as advanced by his predecessors to prove the theory of momentariness and concludes that it is not at all fallacious. Meanwhile, he refutes the arguments raised by the opponents. In this way, his work provides a summary of the entire Buddhist and the Nyaya arguments given for approval and disapproval of the theory of momentariness respectively. The scholars who have made important contributions in the field of Buddhism are worth mentioning. Prof. Stcherbatsky Vidhushekhar Bhattacharya, T.W.Rhys Davids, A.B.Keith.Pt.Rahula Samkrtyayana,Dr. Radhakrishnan, S.N.Dasgupta, T.R.V. Murty etc. are the well known masters in this field whose works enable us to understand the various aspects of Buddhist philosophy. The important features of Dinnaga School of logic have been described in the commendable works of Prof.Satkari Mookerjee, Prof.A.L.Thakur, Prof.D.N.Shastri, Prof.S.N.Shastri stc. However, it is found that the valuable works of Ratnakiriti especially his vivid and elucidating essay ‘Ksanabhangasiddhi’ has not attracted due attention so far. Only a few scholars have contributed to the study of this work. Prof. Satkari Mookerjee has studied and analysed some parts of this essay and has included them in his magnum opus ‘The Buddhist Philosophy of Universal Flux”, which has been much helpful for the author during the present work. A very little portion has been analyzed by Prof. D.N. Shastri in his ‘Critique of Indian Realism’. Prof. S.N. Dasgupta, in his work ‘History of Indian Philosophy’ has also given a brief and beneficial account of the main arguments of Ratnakiriti. But neither any Sanskrit commentary nor any English or Hindi translation has come to my knowledge, hough it is found mentioned in ‘New-Catalogus Catalogurum’ that it has been translated in French and studied in other languages, which the other author is not acquainted with. It is, therefore, thought proper to take up this work as a study for research. The present effort is being made to give a detailed and critical analysis of this work. After a critical analysis of ‘Ksanabhangasiddhi’ and other related literature, the following observations have been made. Without having an idea of fundamental principles of Buddhist philosophy till the period of Ratnakiriti is presented. Some main points which have been highlighted are : Religious conditions of India at the time of Lord Buddha, Teachings of Buddha and their interpretations in Hinayana and Mahayana branches: Philosophical implications of his teachings in four schools; Development of epistemology and logic in Dinnga schooland place of Ratnakiriti and his works in Buddhists logic. The second chapter reveals the origin and development of the theory of momentariness. The concept of impermanence is found in Indian thought since very beginning, but it was only Lord Buddha who preached it for the first time as a fundamental truth. The gradual development of this theory presents an interesting picture of the philosophical speculations of the Buddhist and non-Buddhist philosophers. 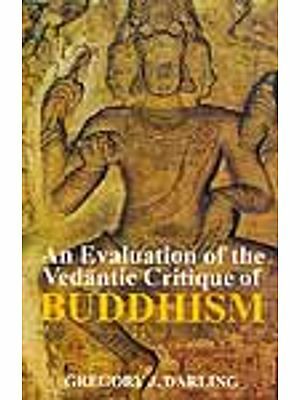 Analysis of the arguments given in first part of Ksanabhangasiddhi is given in the Third chapter. Ratnakiriti has established momentariness of objects with the help of syllogistic interference. ‘Existence’ (sattva) is the probans through which momentariness of all objects can be inferred. The meaning of ‘sattva’ is accepted as causal efficiency which can be exercised only by a momentary object. In the fourth chapter, the second part of the essay has been critically analysed. Here the momentariness is proved through negative concomitance between non-existence and permanent objects. The probans in the syllogism is ‘ absence of succession or non-succession’. The succession and non-succession are the only possible methods for causal function, which cannot o well with permanent objects. The conclusions derived from the study have been given in fifth chapter. In Appendix A, glossary of some of the technical philosophical words have been provided. Word index and author index are given in Appendix B and Appendix C respectively. In Appendix D, a detailed bibliography has been given.